Kaup, Oct 23, 2017: Kaup police raided an illegal butchery operating at Muloor on October 22, Sunday. The butchery was functioning in a shed adjacent to the residence of one Abdul Khader. Two persons who were engaged in slaughtering cow and preparing meet escaped no sooner the police raided the place. Cattle meat and implements used in butchering were seized by the police. 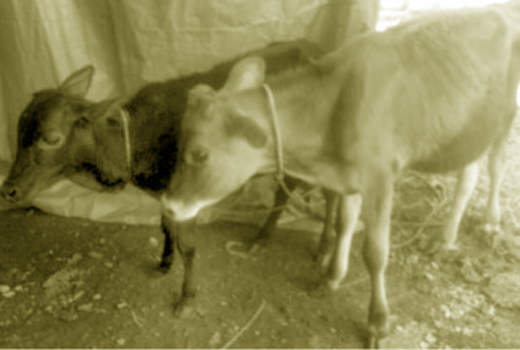 Three calves which were at the place were also seized and handed over to Neelavara Goshala.